When Caron played Gigi, she was a big star. Today, in her comfortable Paris apartment near the Musée d'Orsay — full of photos, paintings, assorted personal treasures and Tchi Tchi, a small Tibetan dog who's clearly the love of her life — Caron recalls her arrival in Hollywood eight years before Gigi. She was summoned by dancer Gene Kelly, who had seen her in a ballet in Paris and cast her in his 1951 MGM musical extravaganza An American in Paris. (If these films are way before your time, it's really worth renting them, for the sheer joy of it.) Kelly had a nickname for his 18-year-old French co-star. 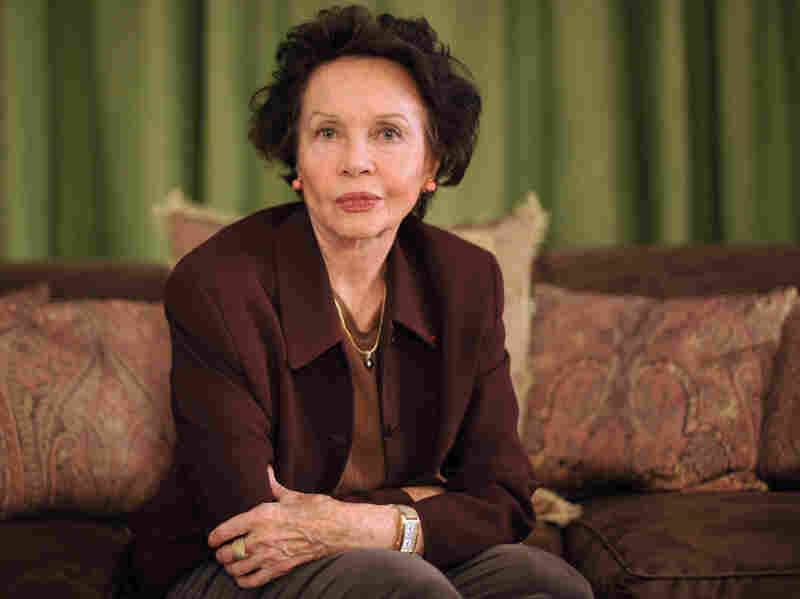 Leslie Caron, shown here in her Paris apartment in 2010, has appeared in more than 40 films. "Gene called me Lester the Pester," Caron says. "I think he was very fond of me, but he liked the rhyme, and he was not sentimental, and he always teased me. And so I was Lester the Pester, or just plain Lester." Hollywood was a revelation to the young ballerina, who arrived in the U.S. malnourished and anemic after spending World War II in occupied Paris. In California, there was sunshine all the time; soap, alarm clocks and even shoes for sale in drugstores; and so much food! "Too much," Caron says. "I thought I'd never seen plates so full of food. It was awful; I couldn't finish a plate ever." Caron also marveled at how nice everybody was. "During the war, people had become very bitter and very suspicious of each other; men beating up women and beating up children, and that was quite a normal sight," she recalls. "And this is the sort of thing that despair and fear and poverty brings to people. It breaks down civilization, breaks down the manners of people and their ways of behavior." Civilization reappeared for Caron on the sound stages of 1950s Hollywood. Fred Astaire, her partner in 1955's Daddy Long Legs, was the epitome of elegance. And what a dancer — Caron says he was "the most skillful person you could imagine." She remembers the director, Jean Negulesco, had initially scheduled an entire day to shoot a complicated, belly-flopping scene with Astaire. "He did it in one take," Caron says. "One take only. They didn't know what else to do for the rest of the day. So the first assistant said, 'Quick, quick — go to makeup.' I said, 'What? What are we going to shoot? I have nothing else rehearsed.' And he answered, 'Oh, Mr. Astaire says you can do it without rehearsing.' "
They were to dance in front of a quickly changing montage of night clubs. Caron raced to makeup, grabbed her white evening dress and arrived on set. "And Fred said, 'Oh, don't worry. Just let me lead you. Here we go — one, two.' And we went through it once, and we shot, and that was it," Caron says. "That was Fred. He was that good." In her most recent film, 2003's Le Divorce, Caron plays a wealthy French matriarch. It was shot in Paris, in various historic mansions, including one just across the street from her own house that she'd been admiring for years. Now she was actually going to get inside. She didn't bother getting all dolled up to go to work across the street. "I said, 'Well, in that case I'm not going to bother to get dressed. I'll come in my curlers and with my slippers, and then they can dress me and comb my hair in the house.' "
In Le Divorce, Caron played a perfectly coiffed, designer-clad mother-in-law from hell. "At a certain age, somehow, you get given only parts of nasty woman, as if it was finished, you could not have a lovely thought or love anymore," she says. "It's absolutely funny about American films. So that was it, I was playing the matriarch with a hand of iron and a will." But it's clear she could do any part at her "certain age" — sweet, light, sour, whatever. And Caron doesn't mind sharing that age. "Everybody can read Wikipedia," she says with a laugh. "And you really can't hide anything anymore. People do admire you if you look good for 80, and that's good enough." She looks great for, according to Wikipedia, 81. Limber and lithe, she bends like a kid to pick up a piece of paper. 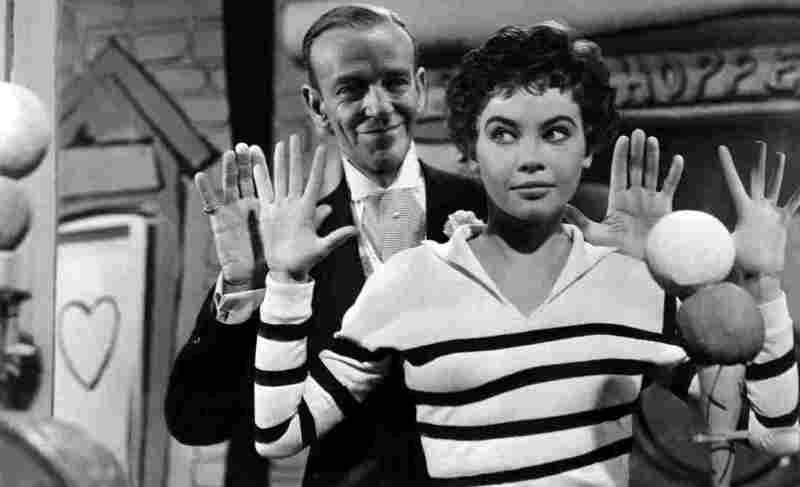 For her fans, Leslie Caron is eternally 20-something — all cheekbones and those huge, dark eyes. She's marvelous in the old movies and in today's Paris, even all these years later.